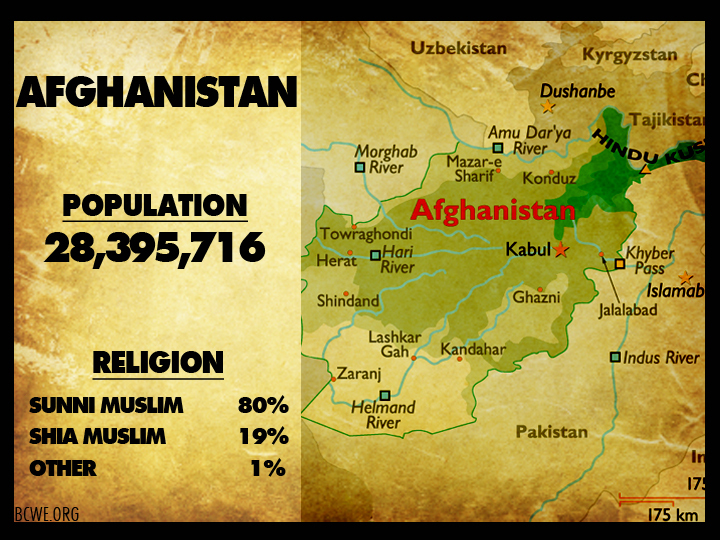 Pray with me for the country of Afghanistan! Pray God would raise up laborers for this field. Pray God would supply the support and needs to missionaries already there. And pray that God would perform a mighty work in the hearts of the people there!